As someone once explained, Allan is driven by passion. When he makes a decision to tackle something, it becomes his life passion. In high school Allan’s passion was gymnastics. Allan taught science for 13 years after graduating college. During this period of time, Allan started many small businesses while teaching (Service, Repair and Retail ventures), trying to find his next (the small businesses started while teaching did not have the spark needed to wake up that inner passion. Within five months after touching his first computer, two disks of animated science simulations were ready to be sold on national level. Allan had found his passion and left teaching to install networks, write applications with both animation and the use of databases. The next stage in his career was building database systems for the retail garment industry in NYC and Warehouse Distribution companies in NJ. Allan has a rare combination of technical knowledge and business savvy, with the ability to evaluate what a company needs to become successful is instinctive and has given him experience with the following – Business Consulting Services with expertise in Business Process – Direction – Optimization, Application Development (Full Life-cycle), Database Design, Website Design. Allan has designed and implemented systems for industries such as Warehousing, Financial, Manufacturing, Distribution, Security, Shipping, Retail, CRM, SAP ERP, Hosting, Infrastructure, and Transportation. This has afforded Allan the opportunity to learn about how each of these businesses work, from the inside out. 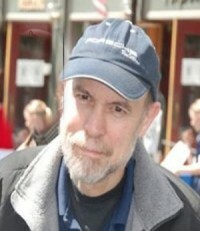 Allan designed and wrote many applications over the course of 30 years. Allan has a patent on one of latest designs “Progressive layered forensic correlation of computer network and security events”. For this successful product, Allan was the software architect, managed the programming, and led the sales team with the exit strategy of selling the company. The patent is now owned by IBM, with Allan Woolway as the inventor. Allan has learned about technology and Business through experience. Allan has been either an owner or in a key management position for 10 companies, five of which were purchased by publically owned companies. Allan has mentored approximately 25 startup companies over the last five year (as a volunteer). Allan currently helps startup companies to focus on their product, use technology, and help to complete the final product so that a market can be developed.